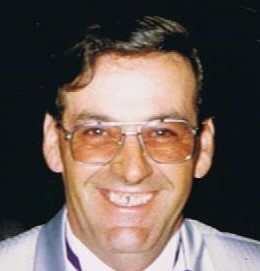 Paul LeBlanc of Bass River, NS (formerly of College Bridge) passed away on Tuesday April 9, 2019 at the Aberdeen Hospital in New Glasgow, NS at the age of 76. Born on December 6, 1942 in Memramcook, he was the son of the late Edouard and Corinne (Bourque) LeBlanc. He worked as a foreman at Will-Kare Paving until his retirement. He will be sadly missed by his daughter, Paulette (Pat) Lindsay and one son Serge (Teri-Lynn) LeBlanc of Bass River, NS, two grandchildren, Danielle and Blake, two sisters, Rose-Anna (late Bill) Burns of Saco, ME and Ida (late Dismas) Bourgeois of Moncton, two brothers, Normand (Viola) LeBlanc of Dover and Donald (Fernande) LeBlanc of Pré-d’en-Haut and by several nieces and nephews. He was predeceased by his wife Rose and one brother Valerie. Visitation will be held at Dupuis Funeral Home, Memramcook on Friday April 12 from 2 to 4 and 7 to 9 pm only. Funeral mass will be held at the Saint Thomas de Memramcook Roman Catholic Church on Saturday April 13 at 11:00 am. Interment will be held in the parish cemetery. Arrangements are in care of Dupuis Funeral Home, Memramcook.